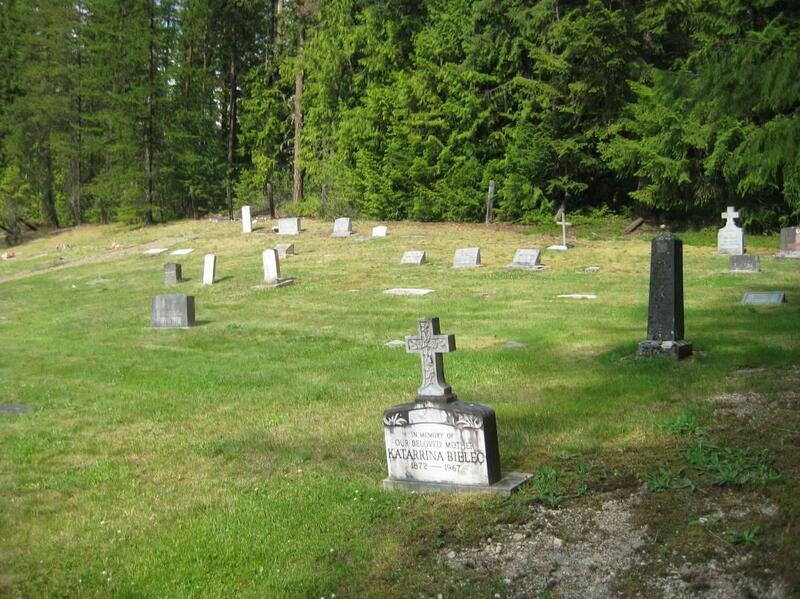 The following is a transcription of the Arrow Park Cemetery located in Nakusp, British Columbia, Canada. Arrow Park (or West Arrow Park as it was also known along with the settlement of East Arrow Park) is located approximately 28 km south of Nakusp on the west bank of Lower Arrow Lake. 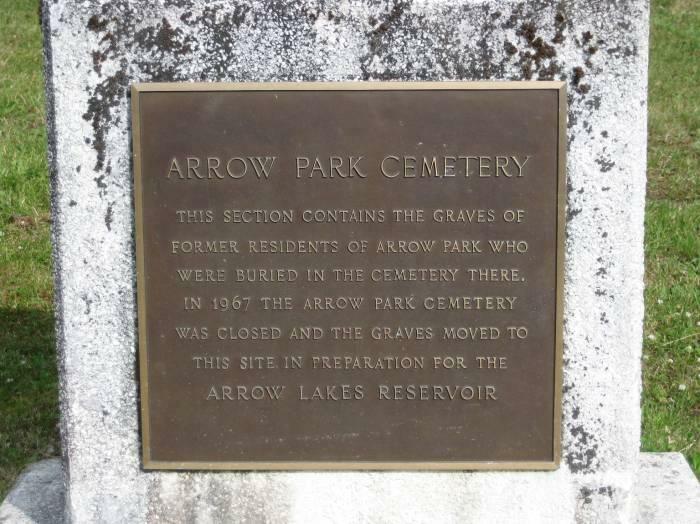 The flooding of the Arrow Reservoir with the Hugh Keenleyside Dam was going to inundate the West Arrow Park cemetery and because of soil instability in that area it was decided the interments needed to be relocated. 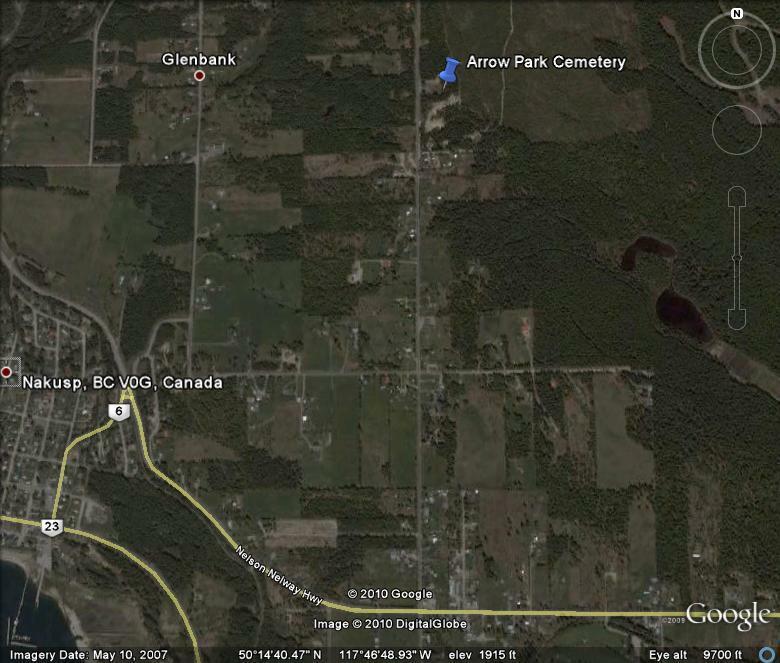 The Glenbank extension of the Nakusp cemetery was opened in 1966 when the main cemetery in the downtown village area had reached near capacity. The south-east corner of this new cemetery was agreed upon to become the finally resting spot of the Arrow Park Cemetery interments. The relocation of the graves took place prior to the 1969 opening of the dam. 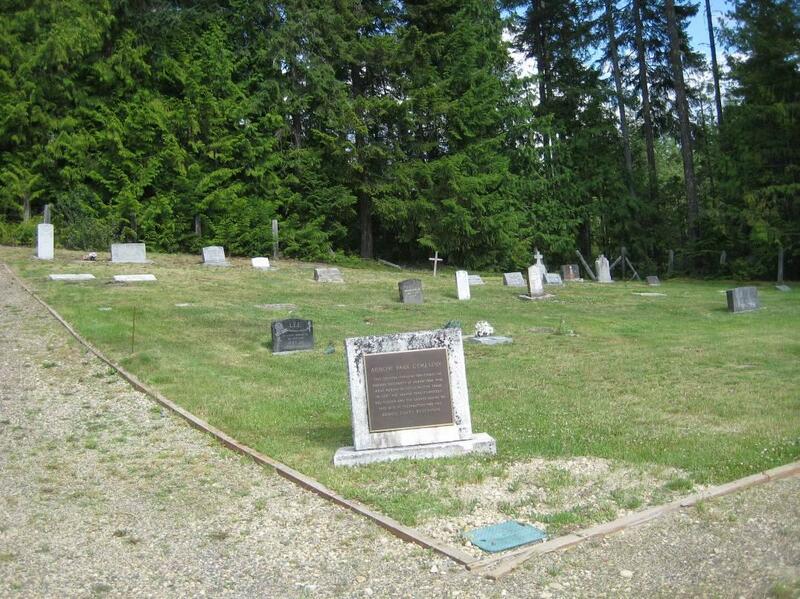 The cemetery has two sections, one serving as the normal extension of the Nakusp cemetery and the other containing the relocated Arrow Park graves. Many of these relocated graves are marked only by a small plaque containing their name. In addition a number of former residents of West Arrow Park have been buried in this section after the original cemetery was relocated. This section of the cemetery contains 68 burial plots with six cremation plots. Currently 63 of the burial plots are filled. WERE BURIED IN THE CEMETERY THERE. Approaching Nakusp on Highway 6, turn east (right) onto N. Nelson Ave and proceed for approximately 600 metres. This road is the connector avenue to Highway 6 leading to Nelson. Upon reaching Highway 6, turn south (right) and proceed for 1.4 km to Alexander Road. There is a convenience store and service station at the intersection. Turn north (left) onto Alexander and follow it for 1.8 km to the cemetery, which is on your right hand side. Turn south (left) from Highway 23 onto Highway 6 towards Nelson and proceed approximately 3.5 km until you reach Alexander Road. Then proceed as above.